This is my first TBR of the year, and I’m very excited because the last time I did one was July. And as I am still on holiday for a week I have a rather ambitious TBR planned. The first is On The Fence by Kasie West. I always love a good Kasie West romance when I am feeling in the mood for something cute. For sixteen-year-old Charlotte Reynolds, aka Charlie, being raised by a single dad and three older brothers has its perks. She can outrun, outscore, and outwit every boy she knows—including her longtime neighbor and honorary fourth brother, Braden. But when it comes to being a girl, Charlie doesn’t know the first thing about anything. So when she starts working at chichi boutique to pay off a speeding ticket, she finds herself in a strange new world of makeup, lacy skirts, and BeDazzlers. Even stranger, she’s spending time with a boy who has never seen her tear it up in a pickup game. To cope with the stress of faking her way through this new reality, Charlie seeks late-night refuge in her backyard, talking out her problems with Braden by the fence that separates them. But their Fence Chats can’t solve Charlie’s biggest problem: she’s falling for Braden. Hard. She knows what it means to go for the win, but if spilling her secret means losing him for good, the stakes just got too high. The second is The Statistical Probability of Love at First Sight by Jennifer E.Smith. I picked this up the other day, and I cannot wait to dive right in. Who would have guessed that four minutes could change everything?Today should be one of the worst days of seventeen-year-old Hadley Sullivan’s life. Having missed her flight, she’s stuck at JFK airport and late to her father’s second wedding, which is taking place in London and involves a soon-to-be stepmother Hadley’s never even met. Then she meets the perfect boy in the airport’s cramped waiting area. His name is Oliver, he’s British, and he’s sitting in her row. Quirks of timing play out in this romantic and cinematic novel about family connections, second chances, and first loves. Set over a twenty-four-hour-period, Hadley and Oliver’s story will make you believe that true love finds you when you’re least expecting it. The first is The Phobos Series by Victor Dixen, whilst the third and final novel doesn’t come out until April I plan on reading the first two this month and I am extremely excited to get into it because it sounds like my perfect read. Six girls, six boys. Each in the two separate bays of a single spaceship. They have six minutes each week to seduce and to make their choices, under the unblinking eye of the on-board cameras. They are the contenders in the Genesis programme, the world’s craziest speed-dating show ever, aimed at creating the first human colony on Mars. 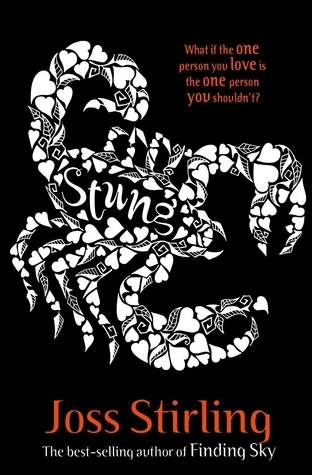 The first one want to continue is the second novel in the Struck series, Stung by Joss Stirling because I loved the first so much and I finally found somewhere I could buy the second one. Sixteen-year-old Kate has a talent for disappearing. Framed for murder, and hunted by a violent gang, she’s running for her life . . .
Nathan is the young recruit tasked with finding Kate before her enemies track her down. He’s determined to stay detached no matter what. But when Nathan and Kate’s paths collide, neither is prepared for the electricity that sparks between them. As the net tightens, can they trust each other long enough to stay alive? Or will their next kiss be their last? 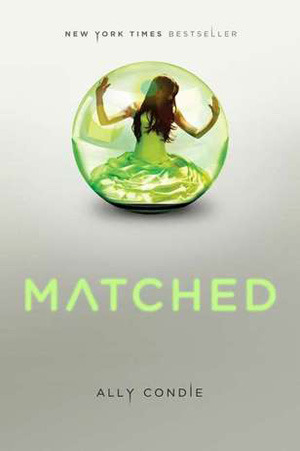 The second is Matched by Ally Condie, which I started reading last year but didn’t finish. So I hope to get to this, if I get through everything else first. So that’s it for the first month’s TBR of 2019. Wow..I can’t believe it’s 2019. Anyway, have a good day and I will be back with another post on Wednesday. The Statistically Probability of Love at First Sight is a great book! It’s the book that started my love for contemporary romance books!